This week at Inspired by all the Little Things, the graphic for challenge #66 is just so pretty. The pink tones are so deep and lovely! I used the Build a Flower - Rose stamp and die set from Altenew. This set is not for the feint of heart - or at least I struggled with it quite a bit. There are six layers for each rose and I found it a bit challenging. But even I can't deny it looks beautiful! 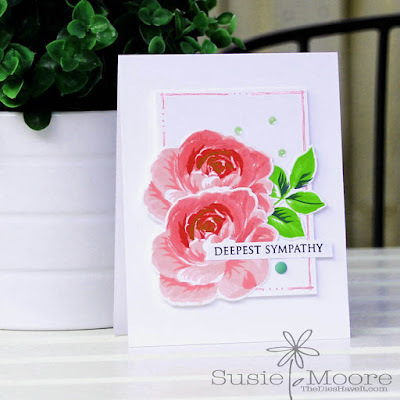 Susie what a beautiful rose and you stamped it perfectly! 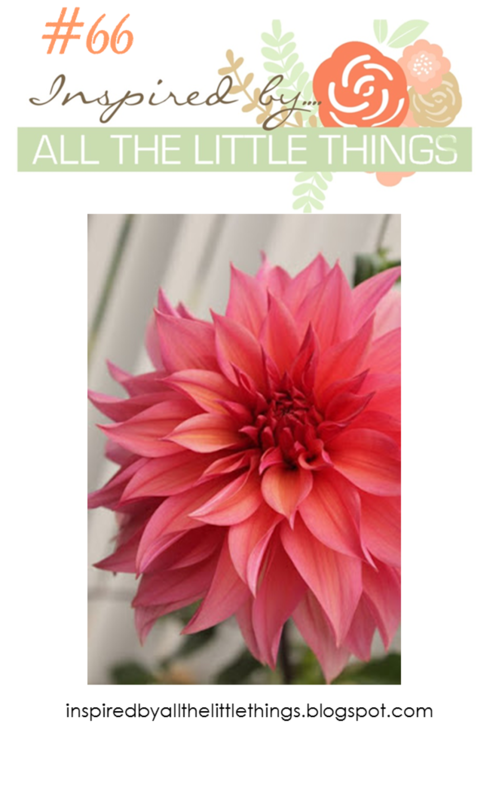 Thank you for sharing with us at Inspired By All the Little Things! Gorgeous take on the inspiration photo! I love it! So pretty! I like the border around the main image. Sets it off perfectly. Thanks for playing along with us at Inspired By this week.